This layout is very simple yet informative. 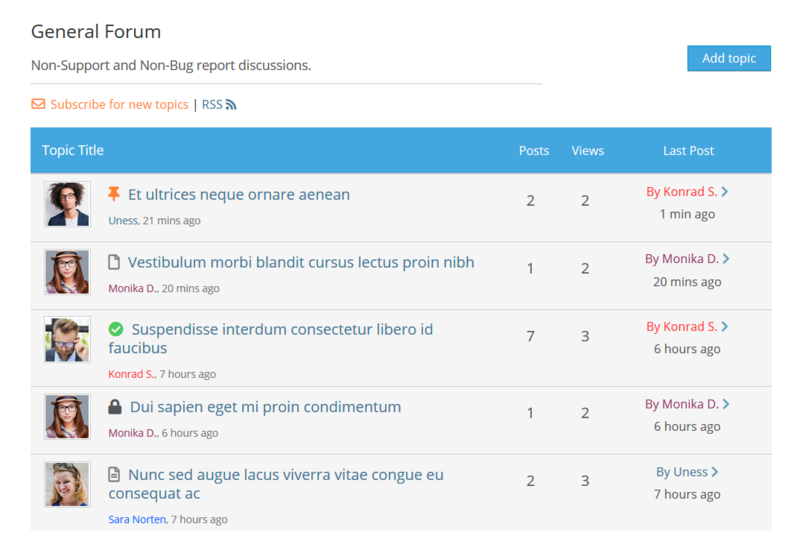 Besides Forum icon, title and description, it also displays statistic data such as number of Topics and Posts. 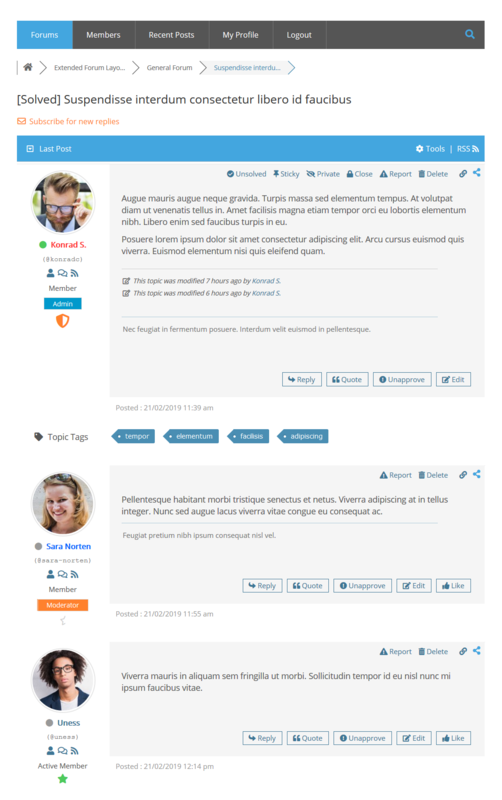 You can see latest post information on right side: post author avatar, username, post date and topic title. 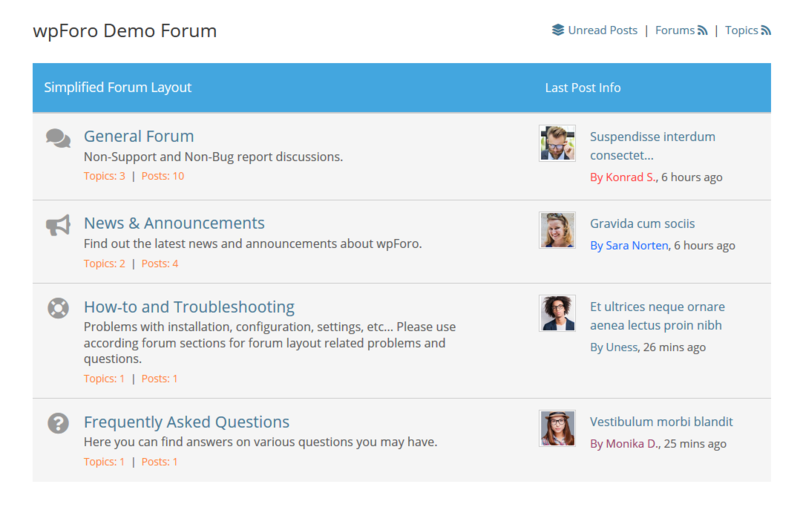 On the left side you can see Topic title, author avatar, name and date. On the right side number of replies, views, last post author name and date.